Expanded x Ep. 06 - Mel Nahas, Conscious City Guide — To Be Magnetic™ | Manifest the life you deserve for less than a dollar a day. “I really believe that it’s through these in-life connections and in-real-life experiences that people can propel their journey even further to make greater change." 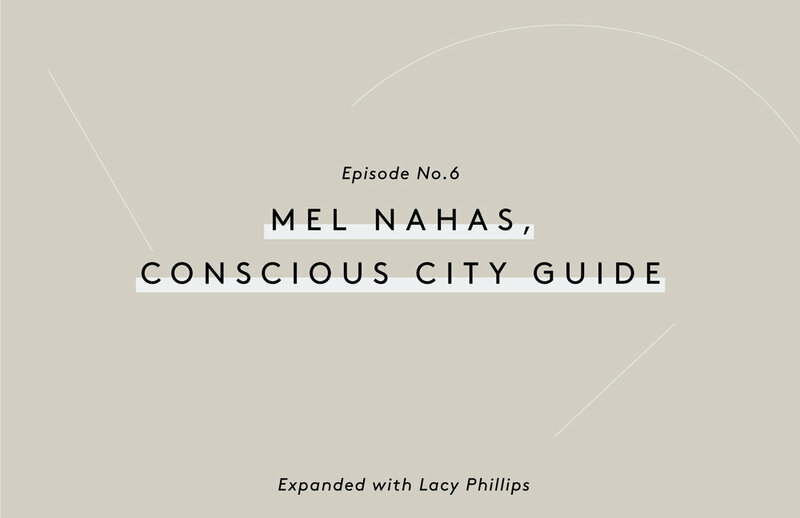 Mel Nahas, Lacy’s personal business expander and the co-founder of Conscious City Guide, joins us on this episode of the EXPANDED Podcast. Mel shares the story of her unique cultural background and upbringing, how she navigated changing careers in her 30s, and the lows she hit that led her to launch into consciousness. Mel's story is an expander for anyone who's manifesting their dream business and looking to make a conscious impact in the world – even if you're currently finding yourself in your lowest of lows. "I want to make conscious lifestyle more mainstream through experiences. And what does a conscious lifestyle mean? It means inspiring and activating people who want to become more connected to themselves, each other in the community, and the planet." "At the end of the day if you toughen yourself to such a strong, tough level, not only are you doing yourself a disservice, but everyone a disservice because if you're not doing what you're meant to be doing, then you're not participating in this collective." "It was totally scary leaving the music industry, I was in my early 30s, and I’m a taurus, so a career change in my 30s was freaking risky. I'd moved to LA before all of this as well, so in a way I had shown myself that change isn't that scary." Looking for more guidance during your UNBLOCKING?